I offer practical, effective solutions for the common complaints and struggles of everyday life, rooted in the ancient wisdom of Chinese medicine. I’m all about the journey away from illness and towards vibrant, radiant health. As a Chinese medicine practitioner, I work with acupuncture, Chinese herbal medicine, Chinese massage (tui na) and nutritional therapy. I also help people with holistic wellness coaching and training, to help them understand and take control of their health and wellbeing, using tools like self-acupressure, meditation, qi gong, diet, and herbs. I work both from my Bristol, UK clinic and also using Skype. The emphasis is always on the practical, realistic and effective. Things you can do, here and now, that will make an impact on how you feel, think and live. This is ancient knowledge, made relevant and accessible in today’s world. Neil practices from his clinic At Enso Healing Rooms, Bristol, offering traditional acupuncture, Chinese herbal medicine, tui na (Chinese massage), and Chinese nutritional therapy, which are available either singly or combined – all tailored to your exact needs and requirements. 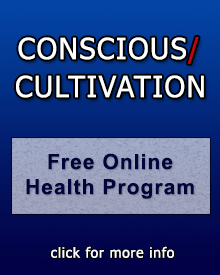 If you are interested in learning how to take your health and well-being to the next level, then Neil also offers 1-to-1 health coaching and training sessions, which are available either in-person or online (by skype). Neil’s best-selling book is an an accessible guide to the theory and practice of Chinese Medicine, for those who are having, or considering having treatment, and for anyone interested in discovering this ancient form of medicine. 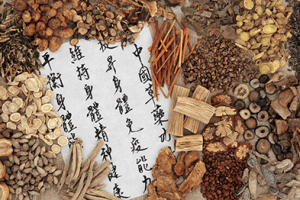 Written in simple, easy to understand language, it takes you through everything involved in diagnosis and treatment using the 5 branches of Chinese medicine. “After our first consultation, Neil gave me some guidelines to follow as to the best way to prepare my food so that I would get maximum benefit. I can honestly say that as a result of following Neil’s advice that I have never been so well in all my life! “Having lived on adrenaline and not much else for as long as I can remember, I needed help and turned to Neil. Instantly I appreciated the calmness of his approach – Neil’s a great listener who doesn’t make you run before you can walk. “Neil is great, a real find. He is hugely knowledgeable having studied in China and really interesting to talk to . I really enjoy the way he is able to translate complex concepts not easily grasped in our western culture and make them accessible. “I would say I am progressing in leaps and bounds now. Really I can hardly believe that I feel so well now. When I look back only a few weeks ago, and remember how my mind was at that time, feeling so exhausted and low, I can hardly believe the difference. I have also managed to think, and be less concerned at my future, managing to enjoy each day for what it brings.